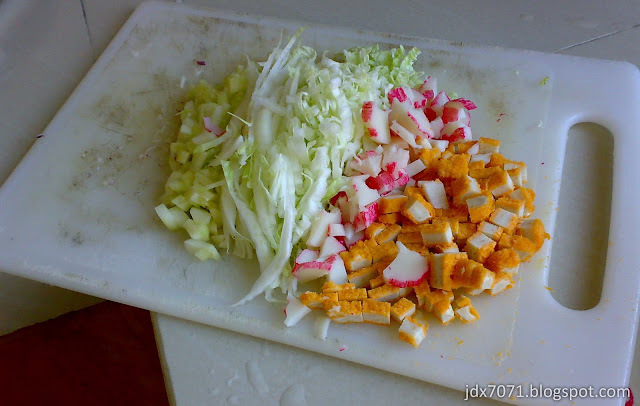 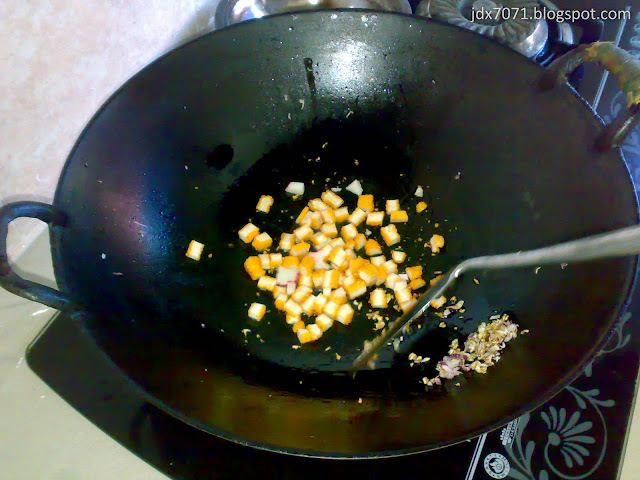 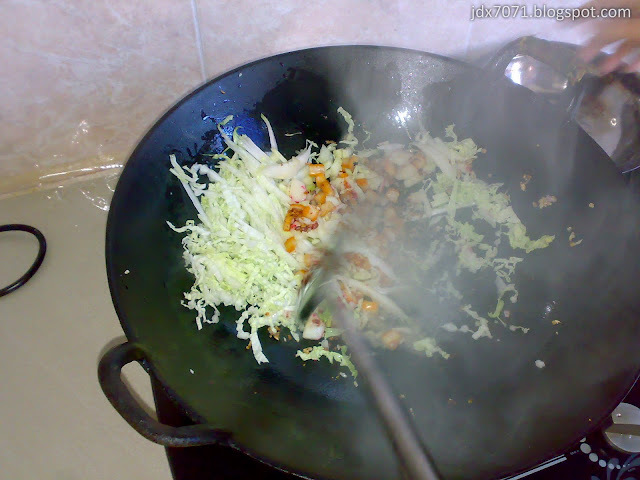 Cook/fried those material in the sequence red onion - fish nugget - crab meat - cabbage. 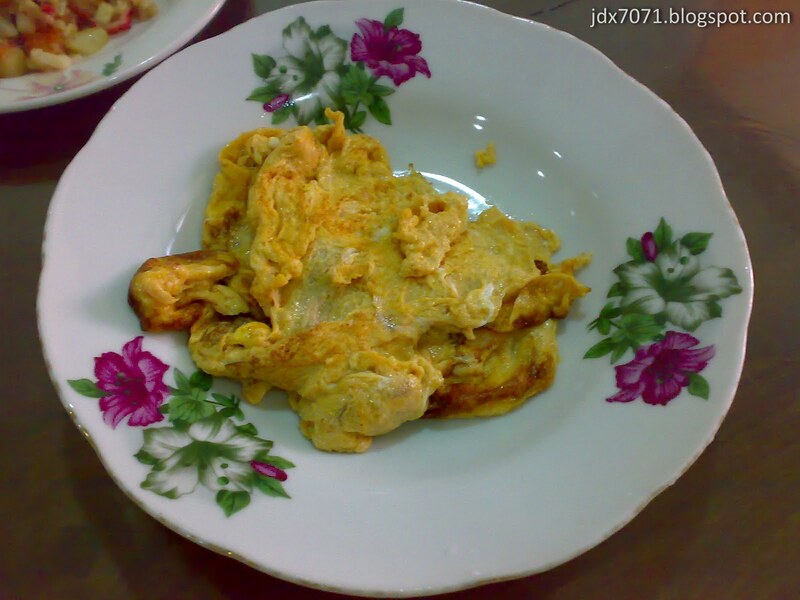 The finished product (very delicious)..
Added 2 medium cooked egg. 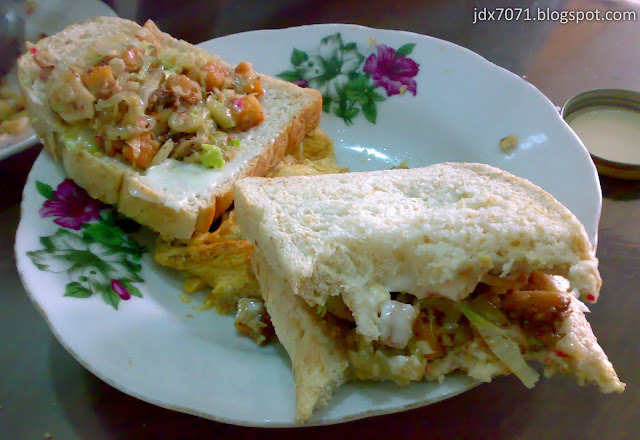 The super delicious breakfast. The white stuff you see in the image is the Mayonnaise spread. 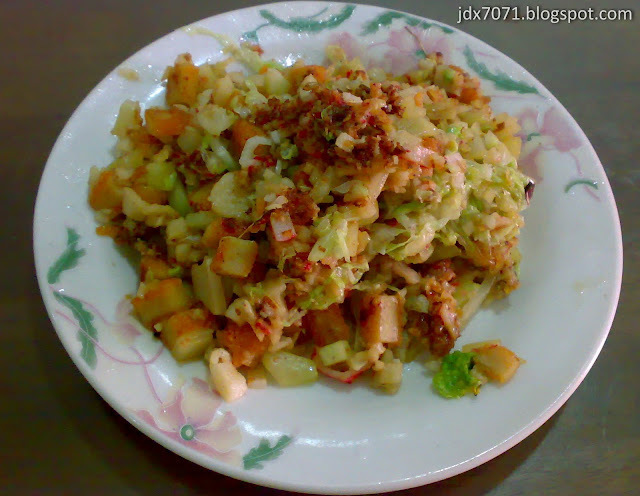 I am going to have this again tomorrow.